A study undertaken in Brazil on healing people with treatment-resistant depression indicates that one session of ayahuasca made the patients score significantly lower on depression scales. These reductions in depression were sustained for one week. Long confined to indigenous societies of the Amazon rainforest, the ayahuasca tea is being researched by scientists as a potential medicine for depression. An article published this week in the prestigious journal Psychological Medicine, shows ayahuasca providing rapid and sustained anti-depressant effects for people with severe, treatment-resistant depression. The ayahuasca tea is typically made from two plants: Banisteriopsis caapi and Psychotria viridis. Kahpi.net’s teacher Dráulio de Araujo, was the corresponding author and one of 23 researchers who contributed to the article. His team at the Brain Institute in Natal, Brazil has been investigating the effects of ayahuasca on depression since 2014. The study included 29 patients with treatment-resistant depression, who were administered a single dose of ayahuasca or placebo. 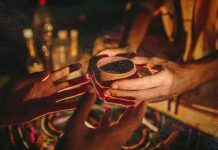 Those who received the ayahuasca scored significantly lower on both depression scales used for rating their states, and these effects were sustained for one week. The results of the study appear promising and timely. Depression is, without a doubt, one of the most severe global epidemics of the modern age. The World Health Organization’s Depression and Other Common Disorders (2017) report provides an estimate that over 300 million people worldwide suffer from it, and, according to a paper published by the Columbia University’s Mailman School of Public Health, this number is on the rise, at least in the U.S.
Today, pretty much wherever in the world you live, you are likely to have at least one family member or friend who is depressed. It’s estimated that over 300 million people worldwide suffer from depression. Depression can be more or less severe. With varying degrees of success, many cases of clinical depression can be treated with regular psychotherapy, antidepressants, and lifestyle changes, such as physical activity, regulation of sleep and nutrition, stress reduction, and social support. A combination of all of the above is often effective, but not everyone has access, time, or energy to dedicate to a full-on treatment regime. And few depressed patients are in any shape to achieve such a regime. And then, there are cases of depression so severe that pharmaceutical and psychological therapy are powerless to help. In this stage, the disorder is referred to as treatment-resistant depression, and it is alarmingly frequent—it’s estimated that around 30% of patients with Major Depressive Disorder fall in this category. Psychedelic-assisted healing of depression is becoming a legitimate topic for research today. So, it’s clear that the traditional methods need to be supplemented. This is one reason why psychedelic-assisted healing of depression is becoming a legitimate topic for research today. The results are slowly coming in, and they are intriguing, or is some instances, very promising. There have been positive findings with a compound, for instance, that’s more in the grey zone between psychedelics and medication. It’s called ketamine. This substance is often used for starting and maintaining anesthesia, but also holds a special place in many an underground raver’s party drawer due to its trance-like sedative effects. Ketamine trials have so far shown excellent results, especially in eliminating suicidal ideation. A few peer-reviewed, double-blind, randomized, placebo-controlled studies have found rapid antidepressant effects in the majority of cases of ketamine therapy. One trial followed up with patients and reported that 35% maintained the effect after one week. Another study found this percentage to be lower, at 13%. Banisteriopsis caapi is a vine native to the Amazon rainforest where it has been used for healing by many indigenous societies for hundreds of years. 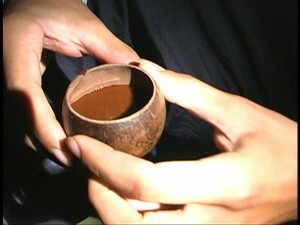 Ayahuasca, however, is illegal in some forms and places, and is a highly intense undertaking in terms of its effects. This traditional shamanic brew has been gaining attention in the past decades as a spiritually transformational tool. Could it be used to help with an affliction such as depression? 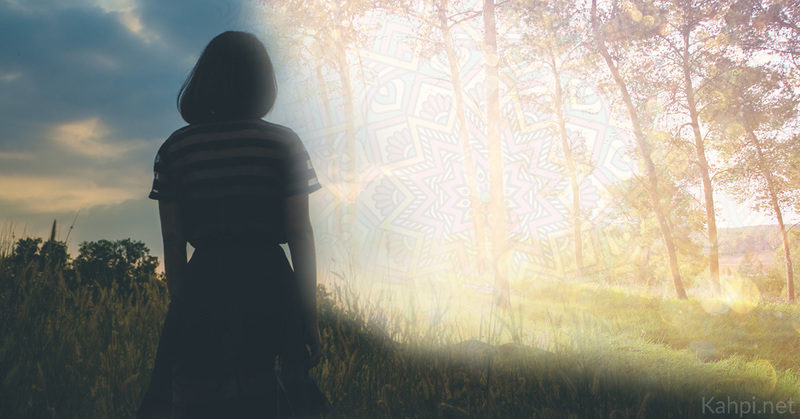 Some enthusiasts compare a single ayahuasca experience to ten years of therapy. 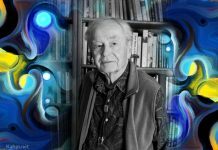 By temporarily overturning that tyranny and throwing our minds into an unusually plastic state… psychedelics, with the help of a good therapist, give us an opportunity to propose some new, more constructive stories about the self and its relationship to the world, stories that just might stick. The anecdotal reports and psychological studies on the benefits of ayahuasca and psychedelics are accompanied by fascinating neuroscientific studies. 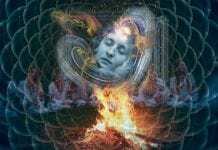 Neuroscientists are now exploring the effects of ayahuasca and similar psychedelics on the brain. A recent model of brain functioning proposed by Dr. Robin Carhart-Harris and Professor David Nutt, who are among the biggest names in psychedelic research, suggests there is an important biochemical basis to ayahuasca therapy. Selective serotonin reuptake inhibitors (SSRIs), the most common form of medication used for treating depression, function by blocking the reuptake of serotonin, the neurotransmitter associated with feelings of well-being and happiness. This means that more of it stays in the space between neural synapses, and is available to bind to the receiving cells’ synapses, rather than be reabsorbed by the neuron endings. 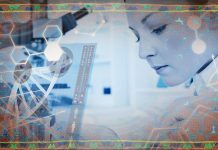 This process is thought, according to traditional models, to work by blocking two brain receptors in particular: the 5-HT1A and the 5-HT2A receptors. The brain does this by enhancing its plasticity or adaptive capacity. Carhart-Harris and Nutt argue that the inhibition of 5-HT2A receptors, which are the brain areas precisely targeted by psychedelics such as psilocybin and ayahuasca, could be more important than previously thought. They suggest blocking 5-HT2A receptors enables a process they refer to as active coping to help the brain actively addresses the source of stress. The brain does this by enhancing its plasticity or adaptive capacity. At the same time, 5-HT1A receptor blocking, which is supposedly done efficiently by SSRIs, corresponds to what they call passive coping or the elevation of the brain’s tolerance to stress. There are many medical benefits being associated with ayahuasca. If these scientists are correct in their suggestion, psychedelics might have a very important role to play in overcoming depression and other common mental health disorders. 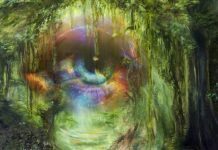 Ayahuasca drinkers often describe ayahuasca as helping them reconnect with themselves, their family or friends, and with nature. This is a discovery we are on the brink of confirming. 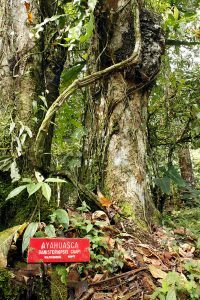 After a few promising, yet not completely controlled studies published by a group of researchers spearheaded by Osório and Sanches in 2015 and 2016, we now finally have, with last week’s Psychological Medicine article, a fully fleshed out, double-blind, randomized, placebo-controlled ayahuasca trial. And the results are more than encouraging. 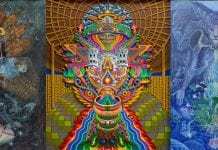 Interestingly, compared to the previous studies conducted with the psychedelic compound ketamine, the authors of the recent ayahuasca study noticed a difference in immediate and later effects. Ketamine seems to produce responses from between 37% and 70% of patients on day one, decreasing to between 7% and 35% on day seven. In this ayahuasca trial, 50% of the patients responded positively on day one and this number increased to 64% by day seven. As is usual in conducting medical trials, these effects need to be replicated on a larger number of participants throughout different societies in order to be validated. However, this study can be considered to be the strongest scientific demonstration to date of ayahuasca’s potential to heal.